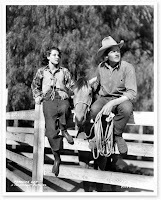 Over the last 18 months or so I've been posting regular updates about plans to open the Joel McCrea Ranch for public tours. 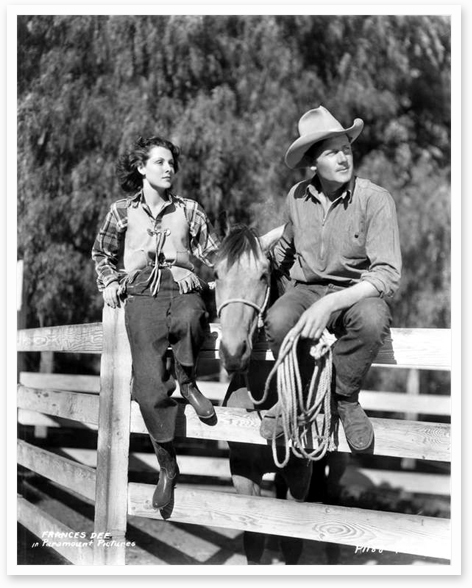 The Grand Opening of the new Visitors Center is set for Saturday, November 5th, which is also the 106th anniversary of Joel McCrea's birth. There are three hour-long time blocks on the 5th for groups of 50 to tour the center and enjoy entertainment and refreshments. Due to the limited space, anyone interested should register promptly with the Conejo Recreation and Park District. 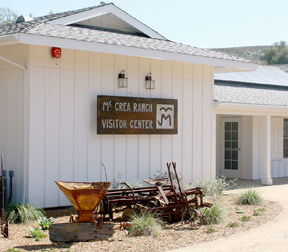 The photo of the Visitors Center seen below is from the Conejo RPD website. I'm thrilled to say that my husband and I have registered and we'll be there for this very special day. We also expect to meet up with a couple other good friends of this blog at the event. Multiple aspects of our state's relatively young history intersect at the McCrea Ranch, where our classic film heritage meets up with the history of Southern California ranching and land development. I look forward to sharing photos of Joel McCrea and Frances Dee's longtime home here next month! Previously: May 29, 2011; March 19, 2011; November 5, 2010; April 25, 2010. Thanks for keeping us all informed on the progress of the ranch. I can't wait to pay the place a visit!